Posted by West + Main Homes on Monday, January 21st, 2019 at 12:12pm. According to Bloomberg, just 36 percent of household heads between 24 and 32 years old owned homes in 2014, down from 45 percent in 2005. At the same time, average student debt per capita rose to an inflation-adjusted $10,000 from $5,000 in 2005. Their finding isn’t unprecedented. 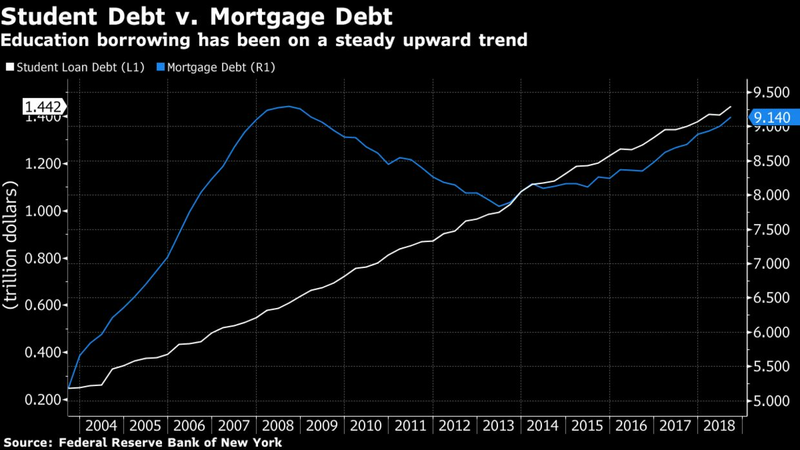 New York Fed research has previously shown that between 11 and 35 percent of the decline in young American homeownership from 2007 to 2015 could have been due to higher student debt loads. That research looked specifically at ownership among people between the ages of 28 and 30. Wondering if you can afford a mortgage, need a good lender to talk it out with, or ready to start a conversation about investing in Real Estate? Contact us.